Show your support by spreading the word about “Transition To Green” Community Clubs and what they’re all about. Tell your family, friends, neighbors and local people in your community about TToG! 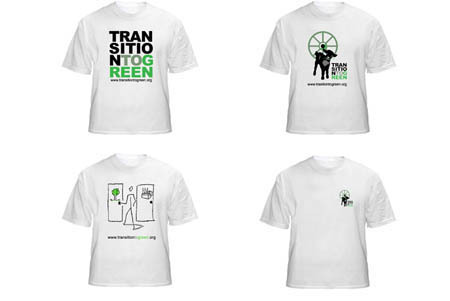 You can also spread the word by purchasing a soft, organic cotton tee with a choice of TToG 3 logos to choose from.